UK and US businesses collaborate on targeted TV advertising. Comcast is to bring Sky’s British ad-targeting technology, AdSmart, to NBCUniversal in the US as the sister businesses seek to "unify" their advertising expertise. It is Sky’s most significant collaboration with NBCUniversal since Comcast bought the British pay-TV company in October last year and a sign that Brian Roberts, chairman and chief executive of Comcast, sees advanced advertising as a major reason for acquiring Sky. Bringing AdSmart to the US will increase its potential scale in terms of both audience data and revenue, since NBCUniversal generates $10.6bn (£8bn) annually from TV and digital ad sales – about four times as much as Sky handles in Europe. Sky brings in about £1bn in ad revenues, chiefly in the UK, Germany and Italy, and it is thought to manage close to £1bn in additional billings on behalf of third parties such as Viacom and Discovery. AdSmart, which Sky launched in 2014, allows advertisers to target users by demographic, location, time of day and personal interests, and is regarded as one of the most advanced ad-targeting platforms in global TV. It has previously been known as Sky AdSmart, but Comcast is dropping the Sky branding as part of a merger that will see AdSmart absorb NBCUniversal’s ad-targeting service, Audience Solution. Comcast said international advertisers, in particular, should benefit because they will be able to target and reach consumers in four of the largest Western advertising markets – the US, the UK, Germany and Italy – and "measure results" across NBCUniversal and Sky’s TV and digital portfolio. Linear optimisation of traditional TV audiences, using set-top box data to identify demographic segments. Comcast has audience data for more than 50 million households in the US and UK. Addressable TV, which allows targeting on video-on-demand services that are operated by NBCUniversal and Sky. Digital targeting, which lets advertisers target audiences in "premium online content" on websites and apps that are operated by NBCUniversal and Sky. Contextual alignment, using NBCUniversal’s artificial intelligence-powered contextual media planning tools for TV – "aligning brand messaging with highly relevant scenes" in TV programming "to enhance ad effectiveness and give consumers a more organic viewing experience", according to Comcast. NBCUniversal and Sky said their collaboration on AdSmart is a "first step" as they want to turn it into a "global premium video offering" for advertisers. That looks like a swipe at YouTube and Facebook, which have repeatedly faced questions over brand safety. Linda Yaccarino, chairman of advertising and partnerships at NBCUniversal, said: "The world is getting smaller and the opportunity for international marketers to make an impact with consumers is getting bigger. The industry has demanded a global premium video offering and now one will finally exist. "NBCUniversal and Sky are committed to setting the highest possible standards and transforming the ad experience. Bringing our advanced advertising solutions under one global structure is the first step in our journey." Andrew Griffith, group chief operating officer at Sky, who oversees ad sales house Sky Media across Europe, said: "Over the years, Sky has built a suite of advanced advertising tools and we’re excited to share them with international marketers in the United States. "Together with NBCUniversal, we’re launching a global product unlike anything the market has seen before, that combines the quality and reach of TV with best-in-class addressability." 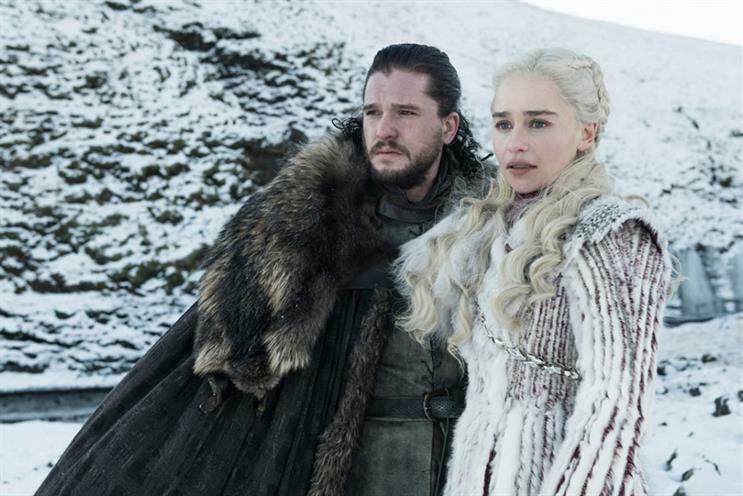 NBCUniversal’s programming includes America’s Got Talent, Brooklyn Nine-Nine and Saturday Night Live, while Sky’s slate includes Premier League football and Game of Thrones. Roberts has said advanced advertising is a priority for Comcast and senior executives from Sky Media and NBCUniversal have been shuttling between London and New York since the £30bn Sky takeover completed. "One of the things that we have not achieved all of our ambitions on is targeted, direct advertising to consumers," Roberts admitted at a Morgan Stanley conference in San Francisco in February. "We still do most of it through the broadcast and cable technology, where we all experience very much the same thing, and we’re not giving you an intelligent ad." As well as making use of AdSmart, Comcast plans to deploy Sky’s Now TV streaming technology to support a new US streaming service that will launch in 2020. Roberts said better targeting and a lighter ad load have the potential to generate "higher value per spot" and give viewers a better streaming experience. Sky's ad sales have been rising thanks to advanced advertising, which represents 14% of its total ad revenue, according to chief executive Jeremy Darroch on Comcast's fourth-quarter earnings call. However, analysts say AdSmart has limited scale in the UK because it does not include ITV and Channel 4, which have been unable to agree commercial terms with Sky despite years of on-off talks.